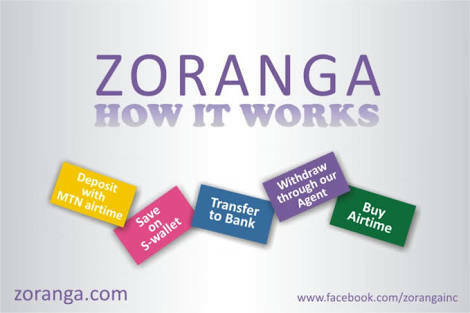 Zoranga is a Nigeria online airtime converter to cash discovered in the year 2014 to help businesses send money and receive money using airtime and today we have set a Review for zoranga so as to let our visitors know more consigning zoranga. In 2016 we the zealmat team made a research about zoranga and we have seen all it positive and negative effects but let’s just answer some questions. Is zoranga a fraudulent company? No zoranga is not a scam, zoranga has being the major way for airtime converter in Nigeria today but we have received complaints from our visitor consigning this company but I must say that you don’t have to bother because if you have any suspicious issue you can easily contact their boss. Zoranga is not managed by only one person and most times your airtime might just vanish without being credited but I assure you if you can contact they main CEO he can trace the issue and then credit you properly. Is zoranga owned by a Nigerian? Yes zoranga is own by a Nigerian and also the staff are also Nigerians but fir security reason the might be a non-identification of it owner and also it staff so as to prevent much issues. Yes you can contact them through the email or phone number on their portal and if you are a good social media addict you can just visit their Facebook page and then chat with any of their staff with our past experience the will give you a feed back within 24 hours and we have always being served better. Does zoranga work for other country? No zoranga is meant for Nigerians alone and operates with some telecommunication companies like MTN, ETISALAT, GLO, AIRTEL. 24hour, because they might get huge amount of withdrawal request which needs more careful attention so that no error will be encounter. 30% of what you deposit through MTN and AIRTEL. 32% of what you deposit through ETISLAT and GLO. It is totally free of charge to any bank of your choice. What is the duration for bank transfer? For any bank transfer it takes not more than 12 hours and transfer is absolutely free. Zoranga is a non-fraudulent company and which has being saving it user’s fine since 2014 but if you have any issues with this company you kindly visit there Facebook page for assistance or email us info@zealmat.com than you and have a nice day.